I completed my batchler degree in Instrumentation and Control from Kerala university. 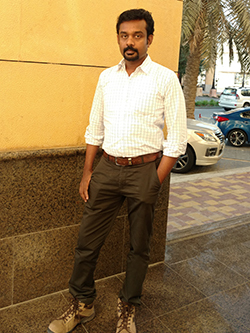 Now I am worked as Instrument Testing and Commissioning Engineer in SAUDI ARAMCO ONSHORE POTENTIAN PROGRAM in KSA. I like to eat different food with different tastes, I am interested to create more friends, Normally I am cool, if I got anger realy I can not control myself, By my luck it happened only 3-4 times, I will not get anger anybody hurting me, but for my friends or lovable ones. I like to speak more. I am a knowledge seeker. In my expectations for partner, good understanding, equality and responsible person, ask the conscience before act, my only demand is don't force me to change, I can not drop my personality. My father is retired as a conductor from co operative bus service. My mother is a house wife and also a member of VELIYAM SREE SUBRAHMANYA SWAMY TEMPLE TRUST.